Cora Dell has, up until her junior year, lived the ordinary life of an ordinary teenager. But that was before the dreams started-vivid dreams of another world and a darkly seductive stranger who whispers intriguing promises into her ear. When her dreams turn into nightmares, however, she suspects that her nightly journeys into this foreign world may be more than fantasy. With the help of her two best friends-and an unexpected ally-Cora struggles to find a solution that will keep her safely in the world she calls home. 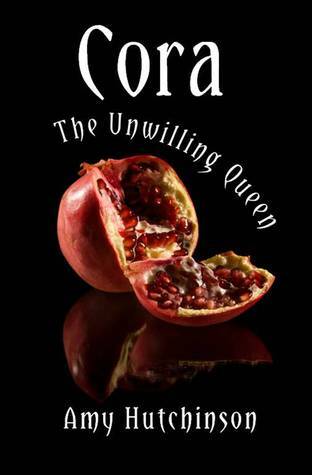 Cora: The Unwilling Queen is the first part in a great re-telling of the Persephone myth (which happens to be one of my favorites). Cora has been selected by the ruler of the underworld to be his new queen, taking her away in her dreams to try and convince her to stay with him. She's suspicious and holds off his advances while she discovers the truth about what her dreams may really mean. She meets several other people of the underworld along the way, with one being quite memorable to her and the reader. All in all an enjoyable first part to the Persephone myth re-told in modern days. The myth itself is even mentioned a few times as the girls try to figure out what is going on.